Veterans are out there waiting for someone to care and to talk to. Just talk to. Just one hour a week. Your chosen hour. If you know a Veteran who is alone, we are an informal group of Veterans in Naples, Florida who want to fill that void. We have sat in private with many and their enthusiasm for being able to talk to one of us who have served is exciting. It is our mission to find and serve them. Wouldn't you like to be visited if your circumstances were theirs? Request a visit from a fellow Veteran. Contact us here to request a visit. We operate in Naples, Florida. 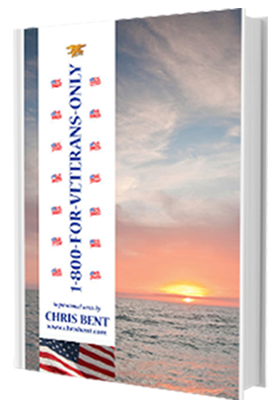 Contact us to get assigned a Veteran to visit. We operate in Naples, Florida. HHH is a professional wrestler. BBB is the Better Business Bureau. AAA helps you with your cars. Triple X was a movie with Vin Diesel and is a symbol of evil. Brand new is Triple V, VVV, Veterans Visiting Veterans. An idea I hatched for my Vets in church to be more active. We established a relationship with an assisted living facility and met with Veterans there. My concept is for each one of us to meet once a week for one hour only with the same veteran. Each having their own different individual. Just for conversation and companionship, nothing religious. You well know it is that we Veterans have our own language and are rather private about our experience. There are veteran’s associations out there, but none come close to this… But when away from beer and alcohol in a private setting the sharing can be phenomenal. When coaxed and assured that you are sincere, the stories flow from WWII to Korea to Vietnam to the present. Whether a clerk or a pilot all served their country with pride. How they enlisted is a blast and humbling. Telling the truth to fellow comrades is like a breath of fresh air. The humor is still there. Special. A new friend, old Jim, has taken ownership of this effort for me. His time in the service in Vietnam was rough. Hard to forget. But he has risen above the pain. All who served are privately proud but quiet. Only 5% enlist today, the rest have no clue. Triple your pleasure…… Kinda cool? Eh?? ©2016 VetsVisitingVets.com. All Rights Reserved.